Diabetes often causes damage to small blood vessels throughout the body, including the eye. Damage to the eye is most commonly seen in the retina, the delicate tissue that lines the back of the inside of the eye. The retina receives light and transmits visual information to the brain, much like the film in a camera. If you have diabetes, it is very important that you receive regular eye exams to make sure your vision is healthy. 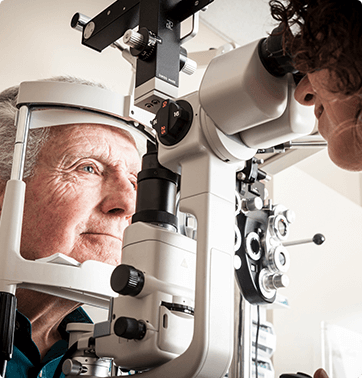 The board-certified ophthalmologists at Advanced Sight Center use today’s most innovative diagnostic exams to pinpoint diabetic eye disease and macular degeneration early, when treatment is most effective. Diabetic retinopathy is the medical term for a deterioration of the blood vessels of the retina. This condition usually occurs in both eyes and is a leading cause of blindness in the United States. As the name implies, the disease is commonly found among people who have diabetes. Plus, people with diabetes are nearly twice as likely to develop glaucoma or a cataract. In its early stages, diabetic retinopathy presents few to no symptoms. There may be a slight decrease in the clarity of vision, but, in many cases, vision appears to remain quite good. This makes it essential that diabetic changes be detected by a complete, dilated-eye examination. As the disease progresses, or if bleeding occurs, vision may become very cloudy or blurred. When leaking blood vessels occur, they can be treated with advanced laser technology that destroys or seals these abnormal vessels. Laser treatment is often helpful in lowering the risk of future vision loss. In more advanced retinopathy, or if bleeding into the vitreous occurs, a surgical procedure called a vitrectomy may be necessary. For patients who require specialized care for diabetic retinopathy, our ophthalmologists will refer you to our retinal specialist, Dr. R. Joseph Olk. 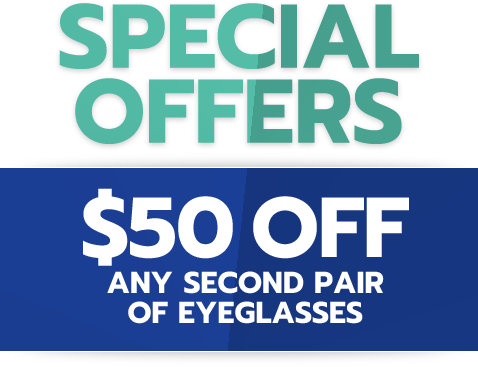 The macula is a small spot near the center of the retina that is responsible for central vision, which enables you to see objects directly in front of you. Macular degeneration, also referred to as age-related macular degeneration (AMD), is a common eye disease among those age 60 and older. It can destroy sharp central vision, and the advanced form of AMD can cause irreversible blindness and visual impairment. There are two types of macular degeneration: dry and wet. Dry AMD occurs when the light-sensitive cells in the macula begin to break down, causing gradual loss of central vision. This type of AMD accounts for 90 percent of all cases. It may or may not progress to the wet type. Wet AMD, the advanced form of the disease, occurs when abnormal blood vessels begin to grow underneath the retina and leak blood or fluid that quickly blurs central vision. Although this form of AMD is far less common, it accounts for 90 percent of legal blindness. 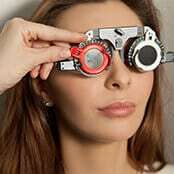 Early detection is the best defense against vision loss from macular degeneration. 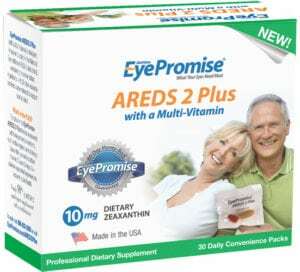 There is no treatment for the dry AMD. Maintaining a healthy diet high in antioxidants to support the cells of the macula while taking vitamin and mineral supplements may help reduce the risk of developing macular degeneration and/or slow the progression of the disease. Low vision aids may help improve the quality of life for people who experience vision loss. Patients with wet AMD typically have abnormally high levels of vascular endothelial growth factors (VEGF) inside the eye, which stimulate the growth of abnormal blood vessels. To stop these blood vessels from forming and slow the progression of wet macular degeneration, patients may receive monthly injections of an anti-VEGF medication such as Avastin®, Lucentis®, or Eylea®. 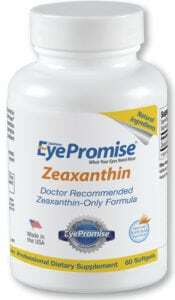 We also sell EyePromise Restore, EyePromise Zeaxanthin, and EyePromise AREDS 2 Plus. If you have diabetes, you are at increased risk for retinal problems which, if left untreated, can result in vision loss. If you need surgical treatment for a retinal problem, Dr. Short and Dr. Ullrich will coordinate your care with our board-certified retinal specialist, Dr. Olk. He offers today’s most advanced treatment methods for diabetic retinopathy, macular degeneration, retinal vascular disease, and retinal detachments. This “team” approach helps ensure the best possible outcomes. The board-certified ophthalmologists at Advanced Sight Center will diagnose your condition and recommend a treatment plan. 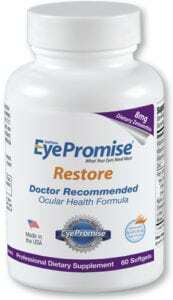 We have a special offer for EyePromise vitamins. Contact us today or request an appointment online for prompt care. We serve patients in the greater St. Louis area with offices in Washington, Creve Coeur, and Bridgeton, Missouri.